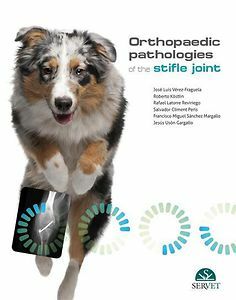 This book deals with the main orthopaedic conditions of the stifle joint in dogs and cats, so veterinary surgeons can assess, diagnose and treat the disorders commonly seen in their practice. It is intended to help veterinary clinicians make a correct diagnosis and prognosis and establish the most appropriate drug or surgical treatment for each case. Orthopaedic pathologies of the stifle joint contains plenty of high-quality images and illustrations as well as links to videos through QR codes, which provide additional information and contribute to making the book even more practical.